Find at least three careers you are interested in, research how much education you need after high school. 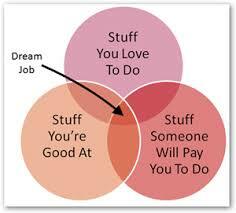 Search for jobs for your career interest. See how many jobs are available right now in the career you want, and how much the pay range is. If you need further study or certification for your career after high school, research what schools offer your desired major--private, public, community college. Research how much the college you want to attend will cost every year. Research GPA and SAT/ACT scores you need in order to be accepted at the college you want to attend if it is a 4-year school. Visit college campuses, attend virtual College Fairs online, watch videos of colleges. College is expensive. As you acquire understanding about your abilities and interests, it helps you direct your focus for the best college and career matches. Be sure to consider what employment opportunities are available for your desired career. Explore your interests at Roadtrip Nation.